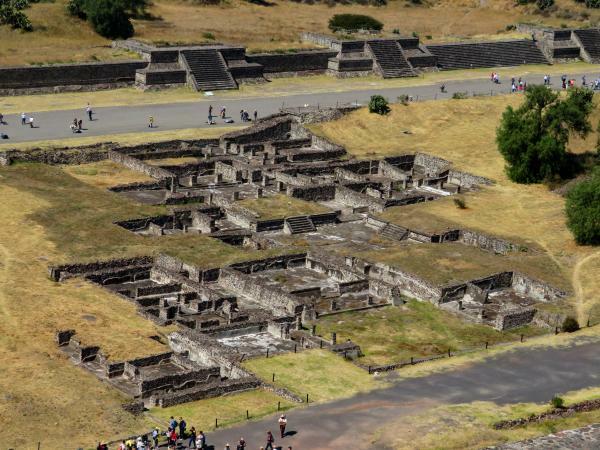 Little is known about the people who built this amazing pre-historic city, just outside of the Mexico City metro. 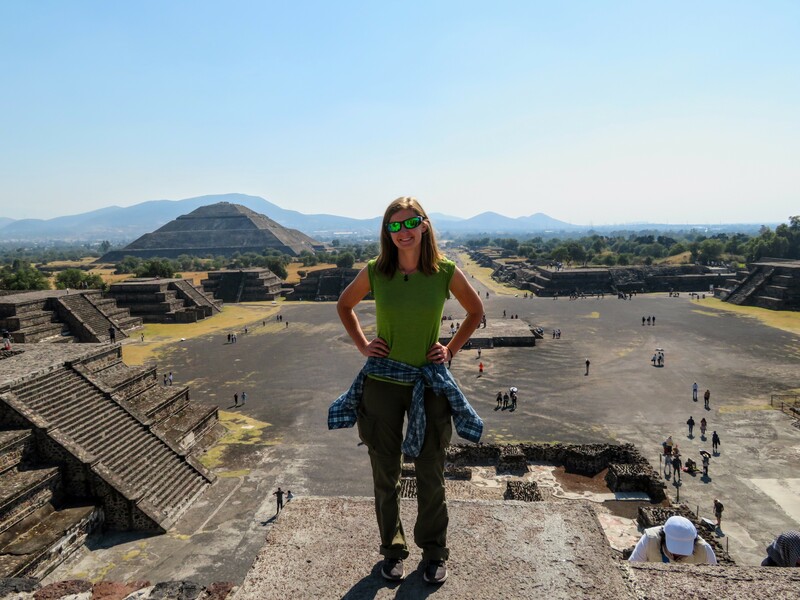 It is easily accessible via public transit and allows you to get up close and personal with beautiful ruins. 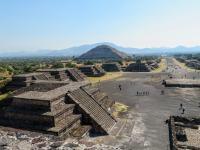 Josh thinks visiting Teotihuacan was cooler than visiting the Pyramids of Giza. I’m on the fence. 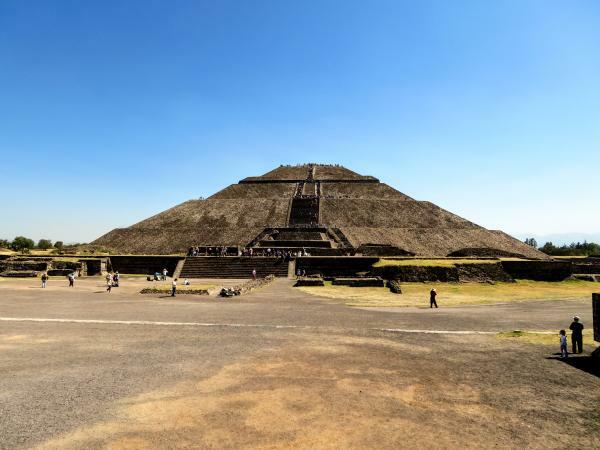 One particularly neat thing about the site is that you are allowed to actually climb the two large pyramids at either end of the Avenue of the Dead. 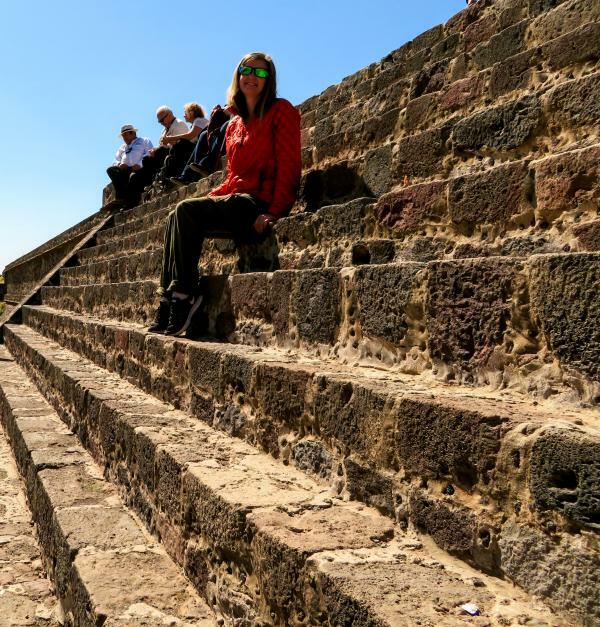 The steps to climb the Pyramid of the Moon in Teotihuacán were sometimes 2 feet tall, which was particularly difficult for my post-op knee. 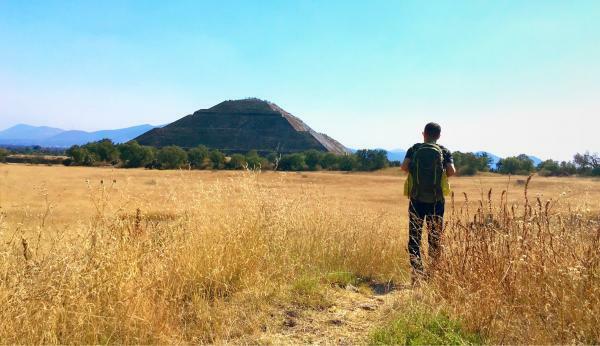 After already having climbed the Pyramid of the Sun (pictured in the background) and walked 7 miles that day, I wasn’t sure I would make it. But sometimes just a little bit of self-doubt makes an achievement so much more satisfying, and I felt deeply grateful to reach the top step and get this photo. 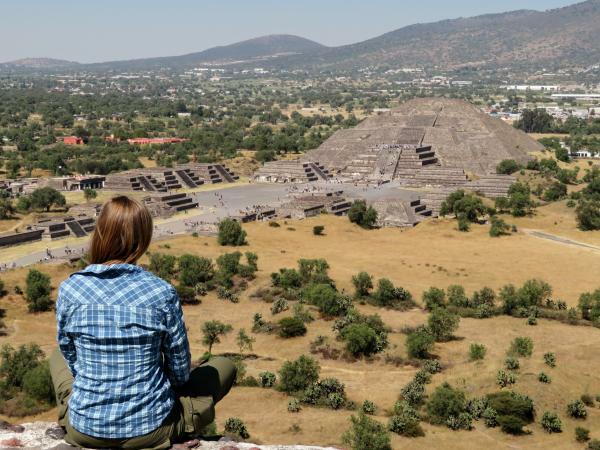 It turned out that this platform provides the very best view of the archaeological site. It was well worth the effort. These were just some of the rather large stairs we climbed. Pyramid of the Sun, which we climbed early in the day. The view from the top produced the following two photos. Dense living quarters, as viewed from the top of the Pyramid of The Sun. Nicole looking out over the Pyramid of the Moon. Perhaps the best view we got of the Pyramid of the Sun was from outside the city, from the surrounding golden fields. This place was special to us because there was nobody around and it was easy to imagine how this place would have looked to a traveler approaching on foot 2,000 years ago. Our last stop was at the Courtyard of the Palacio de Quetzalpapálotl. 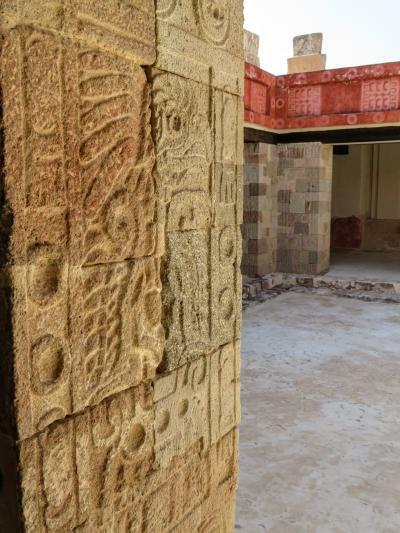 This is original paint, sculpture, and floors from a 2,000 year old palace. Truly impressive.